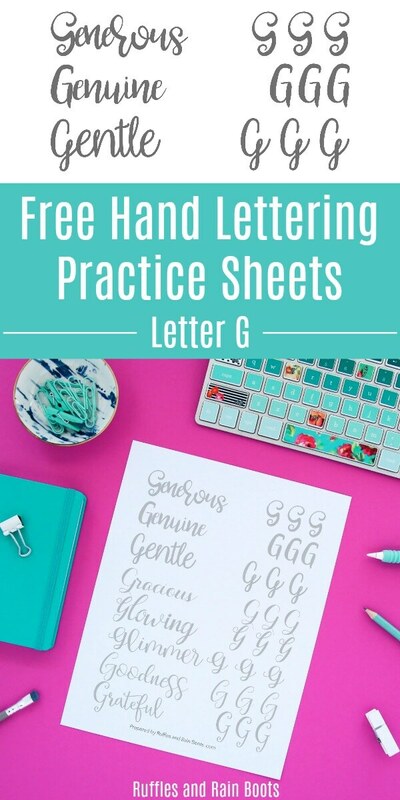 This set of free uppercase letter G hand lettering practice sheets will help you develop 8 different styles in brush lettering, bounce lettering, and modern calligraphy. 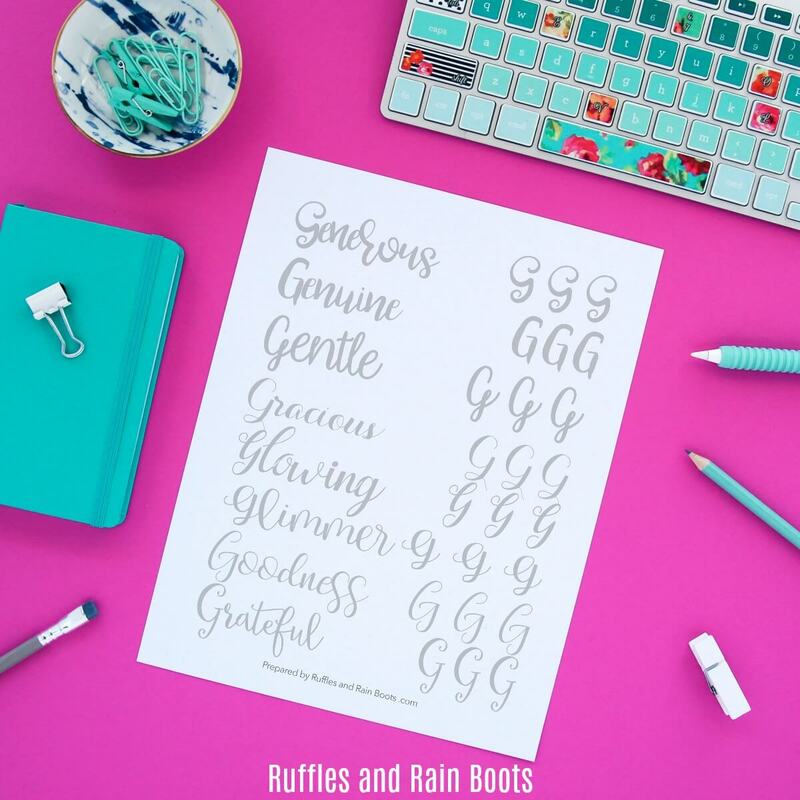 Gorgeous, gentle, goodness – these are some of the much-used words we’ll be practicing in this set of hand lettering practice sheets. You get many more in 8 different styles! If you’re just joining us now, don’t worry. Get all of the letter practice sheets in just moments – sign up for the once-weekly emails. You will get access to the members-only lettering section of the site and you’ll be notified when we release new sets. 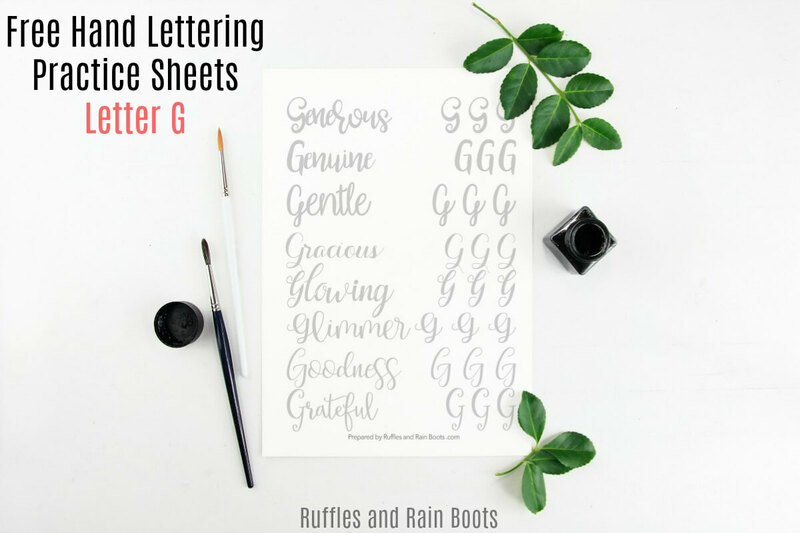 If you’re ready to download the letter G hand lettering practice sheets, grab your password and head over to the private Hand Lettering workbook page here on Ruffles. Note: if you skipped down to this part and don’t have the password, you’ll receive it upon signing up for the Ruffles and Rain Boots newsletter.